The soccer world — and I do mean, globally — has been hit with the biggest news for its governing body. The U.S. Department of Justice on Wednesday unsealed an indictment against top FIFA executives on federal corruption charges, which allegedly involves bribes totaling more than $100 million. But already in the early morning hours in Switzerland, seven FIFA officials were arrested at a Zurich hotel, according to the Swiss government. The indictment names 14 people on charges that include racketeering, wire fraud, and money laundering, but who exactly is being charged with FIFA corruption? Hugo Jinkis and Mariano Jinkis: Controlling principals of Full Play Group S.A., a sports marketing business based in Argentina, and its affiliates. The alleged deals, which reportedly date back two decades, involved World Cup bids and marketing and broadcasting rights, according to The New York Times. 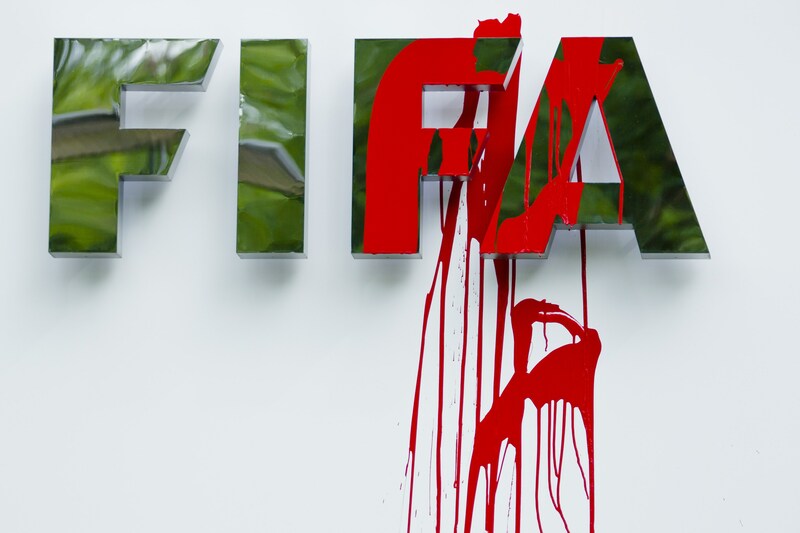 The arrests are unprecedented in FIFA's history, which has long been marred with scandals. There's already chatter that more names could emerge in the coming days. Electronic data from FIFA's headquarters in Zurich were also seized by Swiss authorities Wednesday. The Swiss Federal Office of Justice also announced it is questioning 10 people who took part in the controversial voting that awarded Russia and Qatar the 2018 and 2022 World Cups.